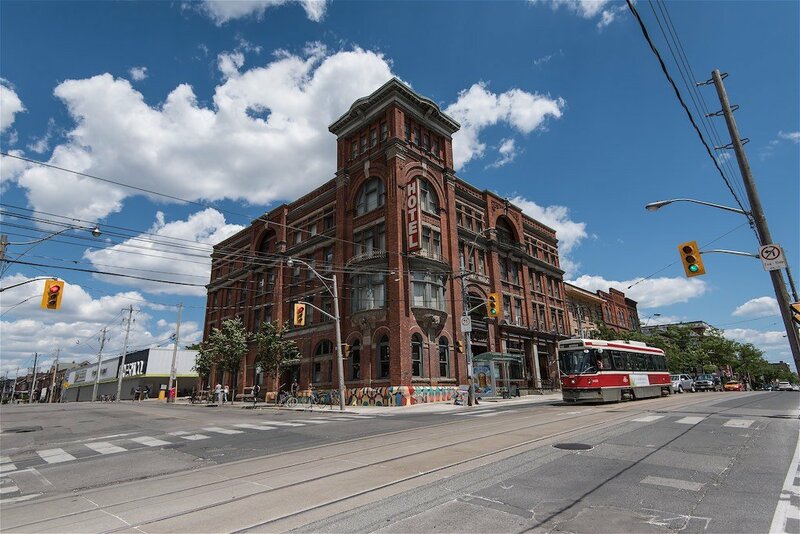 Built in 1889, the Gladstone Hotel is the longest continuously operating hotel in Toronto. 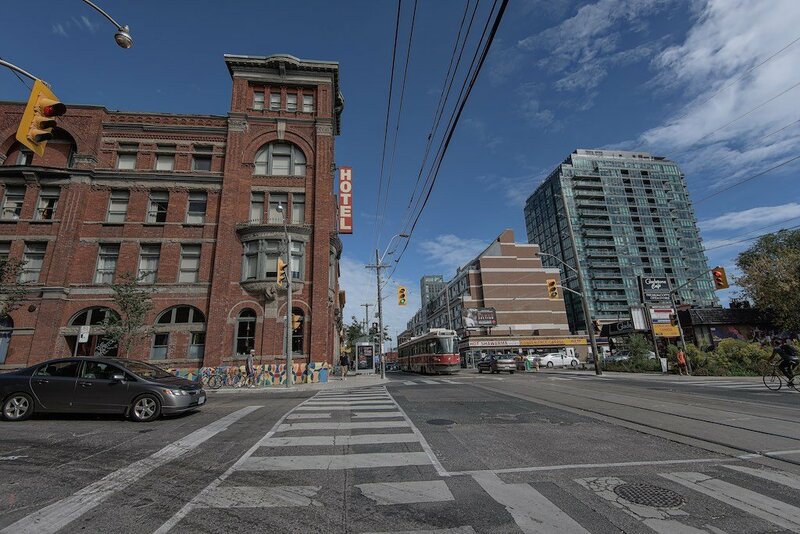 Situated in the Parkdale district, at Queen and Gladstone, it was named after the street in which it resides. The location was strategic at the time; being situated across the street from the Parkdale Train Station which serviced several railroad companies. It’s original owner was Susanna Robinson, a widow who ran the hotel and lived in it with her 13 children. It’s location is also close to the CNE (Canadian National Exhibition) and served as accommodations for those attending the grande fair. The Gladstone Hotel was one of the first hotels, in Ontario, to receive a license to sell alcoholic beverages. Patrons sipped on fine spirits prepared by the Gooderham & Worts Distillery while partaking in shuffleboard. Situated not too far from “dry zones”, such as The Junction, it attracted party goers near and far. Much merriment was had by all! Architecturally speaking, the hotel was designed by George Miller; having designed many of Toronto’s classic buildings, at the time. The design is the “Richardsonian Romanesque style” which was commonly used for other structures such as train stations, churches and other public buildings. 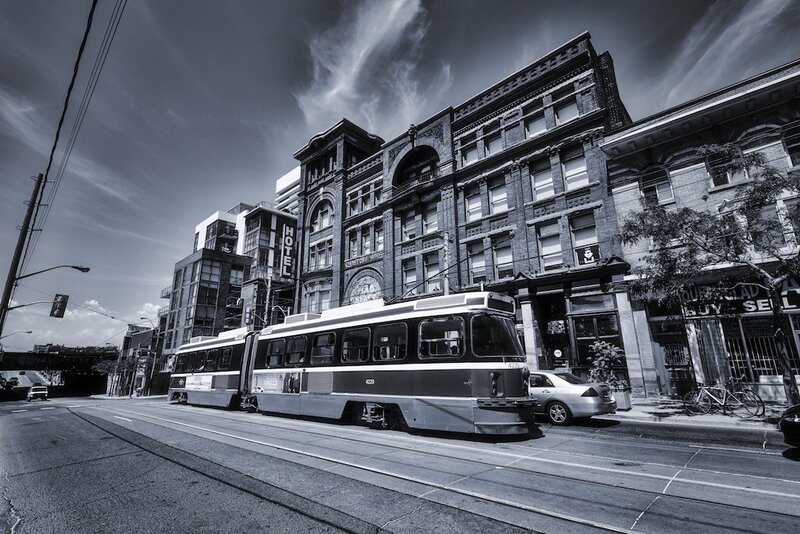 Many of these buildings have since been destroyed in Toronto but we are lucky The Gladstone Hotel remains today. The hotel fell into disrepair over the decades with each owner passing the fine building onto the next. The entire neighborhood faced challenges and land developers, over the past few decades, have been acting like lumberjacks clearing out foliage. In 2000, a team of developers salvaged the once great hotel. The Tippins and the Zeidler families teamed up and restored this great Toronto monument to her former glory. The Zeidler family eventually gained complete control and have maintained it to this day. This urban revitalization has benefited many other small businesses along Queen West and kept a little bit of Toronto’s history for us to enjoy. 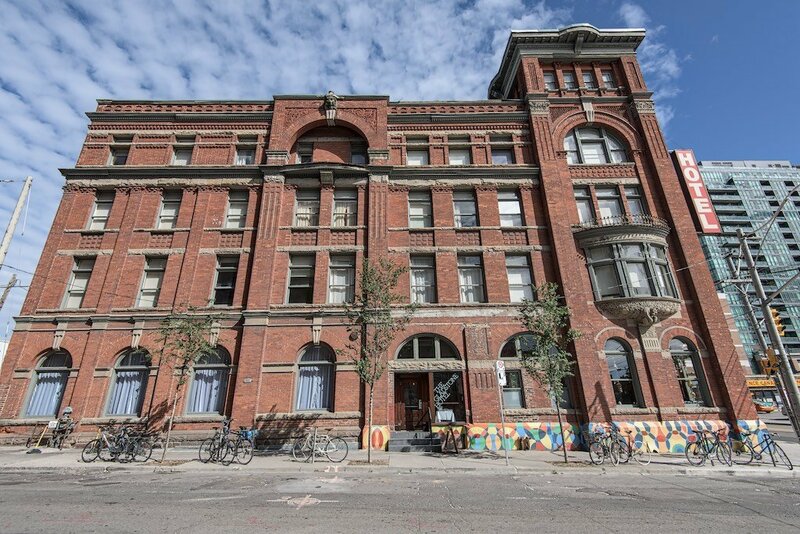 This entry was posted in Architecture, Gladstone Hotel, Parkdale, Queen Street, Toronto and tagged Gladstone Hotel, Parkdale, Toronto, West Queen West.